We still have a long ways to go until Nike’s Black Friday 2019 sale arrives. But you can scroll down the page to check out the details from their last Black Friday sale to get an idea of what’s likely to come. Enjoy! Updated on Monday November 19, 2018: It’s officially Thanksgiving week — And as we’ve come to expect, a number of stores are going live with their Black Friday sales early this year. That includes Nike! Shop nike.com starting today to get an extra 20% off select styles with promo code THANKS. We’ve included some of the featured deals in the screen shots below. Nike Plus members also get free shipping (it’s free to join). And don’t worry, all purchases are covered by a 60 day return policy. You’ll find a copy of the official terms and conditions below. Good luck and happy bargain hunting! What new Nike sneakers or gear are you planning on picking up this Thanksgiving weekend? Let us know in the comments (you’ll find the comments section located at the bottom of this page). Updated Saturday November 18, 2017: Thanksgiving is still a few days away but Nike’s Black Friday 2017 sale just went live! Like every year, Nike’s Black Friday sale is one not to be missed. That’s because it’s one of the few times of the year where they give you an EXTRA 25% OFF existing clearance items. That means if you found a nice pair of Air Jordan’s on sale for 30% off or maybe a nice hoodie at 40% off, you can take an extra 25% off the lowest marked sale price. Just don’t forget to use coupon code EPIC25 at checkout to apply the discount. The offer is available exclusively at nike.com and only on “clearance” labeled shoes and apparel (full-priced items excluded). The sale officially runs through November 28, 2017, but you can expect that many of their most popular items will sell out early in certain sizes and colors. See their site for official terms and conditions. Good luck! Nike Air Trainer 180 — These men’s shoes feature a massive air bubble for ultimate cushioning from anything you do that puts stress on your feet, from workouts to a game of hoops. Normally priced at $125.00, you’ll be able to pick them up on sale for $99.97. Nike Air Jordan 4 Retro — These iconic men’s basketball shoes get a vintage lift with their retro style yet modern, supportive fit. They feature a foam midsole with air cushion and rubber outsole. Normally priced at $190, you’ll be able to pick them up on sale for $116.97. Nike Flex Men’s 8” Training Shorts — These are the ultimate workout and outdoor shorts to keep you dry with their water-repellent fabric, cool with their sweat-wicking Dri-FIT technology, and moving with their stretchable polyester/spandex blend. Nike Lunarepic Low Flyknit 2 — These women’s shoes are the winners of Competitor Magazine 2017 ‘Editor’s Choice’ award. They feature a sock-like wrap that hug your foot, targeted cushioning where runners need them most, and perforations for ultimate breathability. Nike Roshe Two — These women’s shoes have a lightweight and minimalistic design that will almost make you forget you’re wearing any shoes at all. They feature three foam densities where it’s needed most for perfect all-day comfort. Nike Power Epic Lux Solstice Running Tights — These women’s tights feature Dri-FIT Technology to dry and comfortable no matter how hard you push yourself. They also have reflective details to help you be seen on your evening jogs. Remember, the clearance items change all the time and often sell out quickly in the popular sizes. The sale prices are also limited to select colors too. Updated November 24, 2016: Just in time for Thanksgiving day shopping, Nike officially launched their Black Friday sale! Head on over to the clearance section on their site and you’ll save an extra 25% off on top of the lowest listed sale price when you enter promo code EXTRA25 at checkout. Just keep in mind that the 25% discount is ONLY valid on merchandise found in the online clearance section (not what’s listed as full price) Offer not available in stores or outlet locations. But hurry, sale ends on November 29, 2016 at 11:59 p.m. PST, while supplies last. For over 40 years, Nike’s been wowing us with some great shoes under their famous “Swoosh” trademark. For those of you looking to get a new pair of Air Jordan’s or Air Max’s this holiday season (or maybe those wicked cool back to the future HyperAdapt 1.0 self tying shoes! ), then you probably know by now that Nike’s Black Friday event, both online and at their factory outlet stores, is one that shouldn’t be missed. 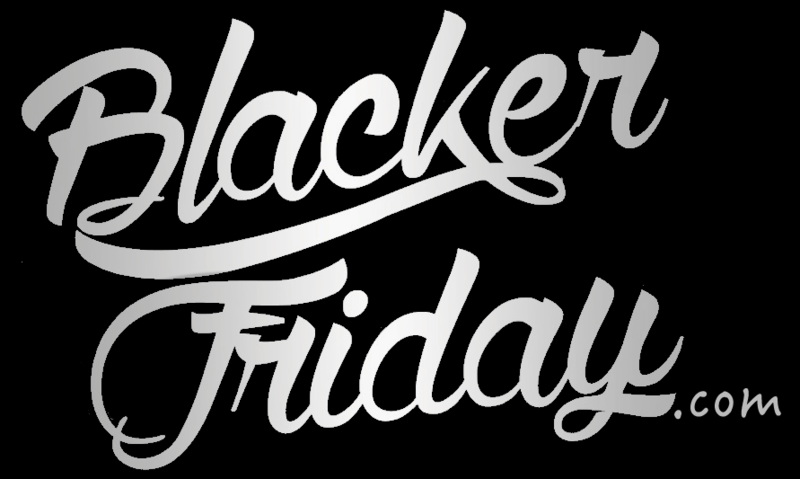 And starting now, you don’t have to wait because Nike’s Black Friday sale has just gone live! This year they will be offering an EXTRA 25% OFF clearance items when you use promo code GETOUTHERE. Not bad considering that’s on top of some really good sale prices already. This offer begins on Wednesday and will run through the entire Thanksgiving weekend up until Cyber Monday (November 30, 2015). Just be quick as some of their best sellers will sell out quickly in the most common sizes. To shop and for more details, visit nike.com. For all of you planning on visiting your nearest Nike Factory Outlet stores this Black Friday then this weekend you’ll get 20% OFF your entire purchase starting on Thursday, Thanksgiving day when they open at 8:00PM (November 26, 2015) all the way through Friday at the 2:00PM cut off time. Then on Saturday and Sunday you’ll get 40% Off Clearance Apparel and Equipment, and 20% off select footwear. Every Black Friday Nike also releases a new limited edition collection with brand-new styles from Jordan, Nike Running, and Nike Basketball. Some of our favorites this year include the Air Jordan 8 Retro “Aqua” for $190, the Kyrie 1 ‘Opening Night’ for $130, and the Nike Lunar Control 4 for $170. See the full collection at Nike’s launch page. For Black Friday, Nike has just released some a few limited-edition sneakers that are sure to sell out quickly this year. For the basketball player there are the new Air Jordan 6 Retro Infrared 23’s. For the runner, the 2015 line of Air Max’s have just hit shelves. But the real savings are on all the clearance items where you’ll save an extra 25% when you enter coupon code DOMINATE at order checkout. Just remember that this offer is only available for U.S. shoppers ordering from the official Nike online store at nike.com. Search for the nearest Nike retail or outlet store in your neighborhood. If you have order related questions or need product return assistance then you can contact Nike Customer Service by phone at 1-800-806-6453 or via live chat from their site. Both their phone line and chat is open daily from 4:00AM to 11:00PM PST.